Oslo has inaugurated the world’s first ‘bee highway’, a route for bumblebees to help them survive in hostile city environments. The corridor is set to cover a pollen station every 250 meters. “The idea is to create a route through the city with enough feeding stations for the bumblebees all the way. Enough food will also help the bumblebees withstand manmade environmental stress better,” Tonje Waaktaar Gamst of the Oslo Garden Society told Osloby newspaper, The Local reports. Bumblebees and other pollinating insects have trouble surviving in urban environments, with few flowers rich in nectar available, causing the insects to starve and die. Consequently, agriculture that depends on the insects suffers. In Norway, six out of 35 bumblebee species are endangered. However, scientists aim to fix that: they placed flowerpots on rooftops and balconies along a route from east to west through the Norwegian capital. The city authorities are cooperating with environmental organizations, the local population and companies, encouraging them to plant bee-friendly flowers. There is even a special application, where it is possible to see “gray areas” with the lack of nutrition for the insects. “It will be easy to see barriers and obstacles on the map. The goal is to inspire people to fill these gaps,” Agnes Lyche Melvær of BiBy told Osloby. 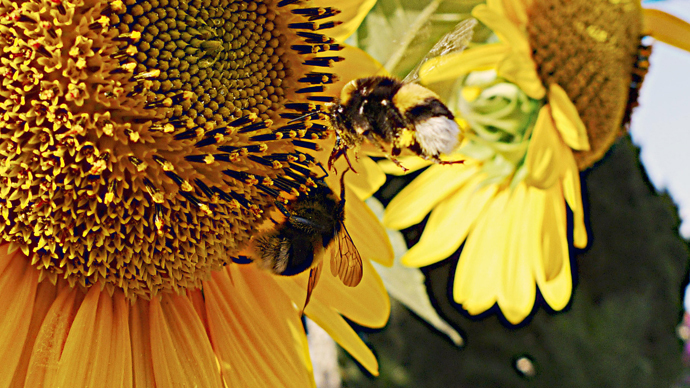 The locals would be able to upload their projects on how to be more bee-friendly, Melvær added. ”Some bee species like to live in solitary rooms. They need small hollows like a crack in an old tree trunk. It’s very important to have some old wood lying around,” she said.